Marc Jacobs Beauty is one of those makeup brands, I haven't tried until recently, even though I love high quality makeup (who doesn't, haha?) 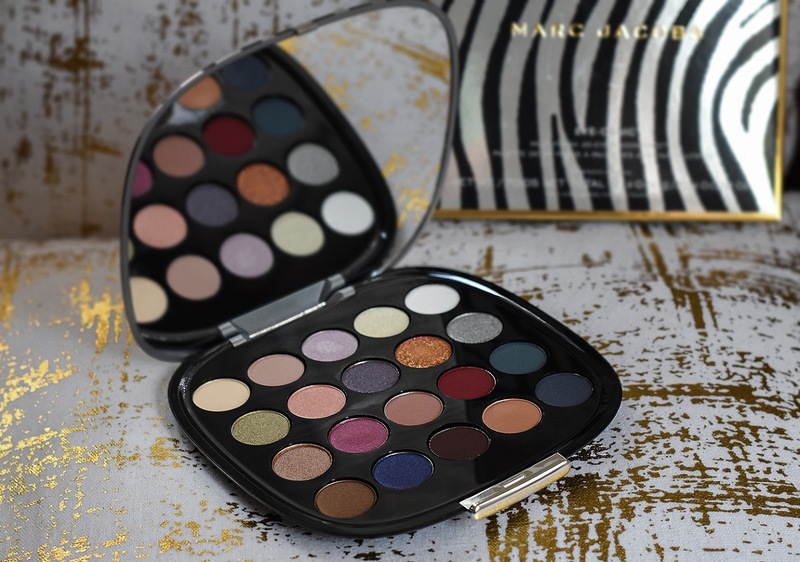 and since the day I checked out * Marc Jacobs The Wild One Eye-Conic eyeshadow palette at Sephora, I've been wondering, why it took me so long to get my hands on the amazing products, this brand can offer. You may remember this Makeup Wishlist post : Sephora VIB Beauty Insider Event Wishlist , even though I really wanted to get any product from that list, honestly, I would probably not spend $99 on this Marc Jacobs The Wild One Eye-Conic eyeshadow palette if I didn't see it in person. The pigmentation of the shadows were so beyond expectation that I forgot about everything else and bought not only the palette but also * Marc Jacobs Genius Gel Super-Charged Oil-Free foundation and * Marc Jacobs Enamored Hi-Shine nail polish in gorgeous neutral shade. 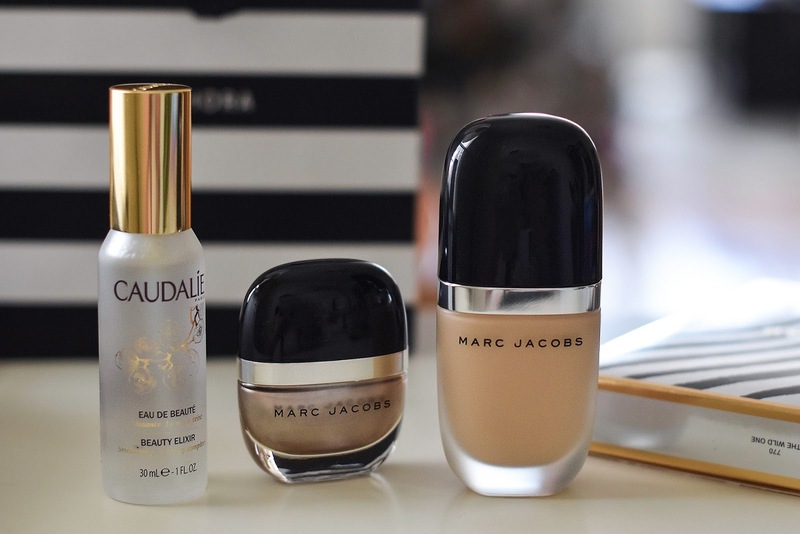 Also, I decided to redeem my Sephora Beauty Insider points and got Marc Jacobs travel size makeup set to check out more products from this brand. I also bought Caudalie Beauty Elixir Setting Spray in travel size and I got the travel size Tarte set as my birthday gift from Sephora. So, as you can see it was very "productive" day for me haha. P.S. This post contains affiliate links that means I may get a small commission if you purchase any of the products with *. On another note, I bought a new camera charger (after I lost my own) and I'm finally back to blogging, that feels so good. I really missed this space. Make sure check out my blog on Wednesday. Hope, you guys are having a great day. Hope you had a good weekend, and you got some bargains in the sales. I did some Christmas shopping last week but I haven't bought anything in the sales yet. yay welcome back love! I've heard nothing but good things about that foundation! Amazing haul! 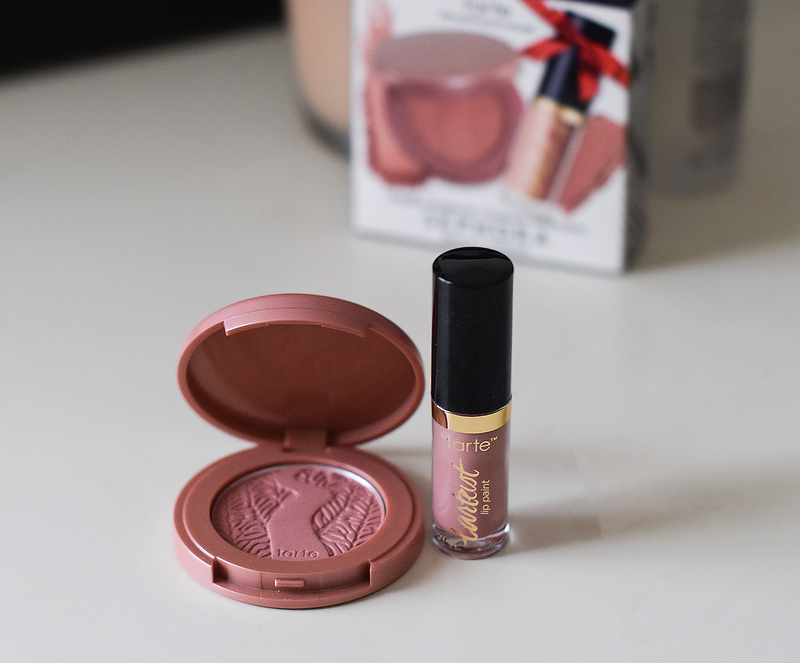 I am in love with that Tarte blush. It's really pretty shade, isn't it? Hope, you are having a great day Kathrine. These Marc Jacob goodies look so good! I especially love the palette. I got the same Tarte samples from Sephora, I can't wait to wear them! Thanks for sharing, girl, and I hope you have a great week! Good to see you back, Nina! And you already know I am a huge fan of this brand but I don't have that eyeshadow palette! So many great products! I haven't tried much of his line. I love the color palette and the colors looks so festive. PS-this is Hannah from Floraful with a new blog! That palette looks so good! 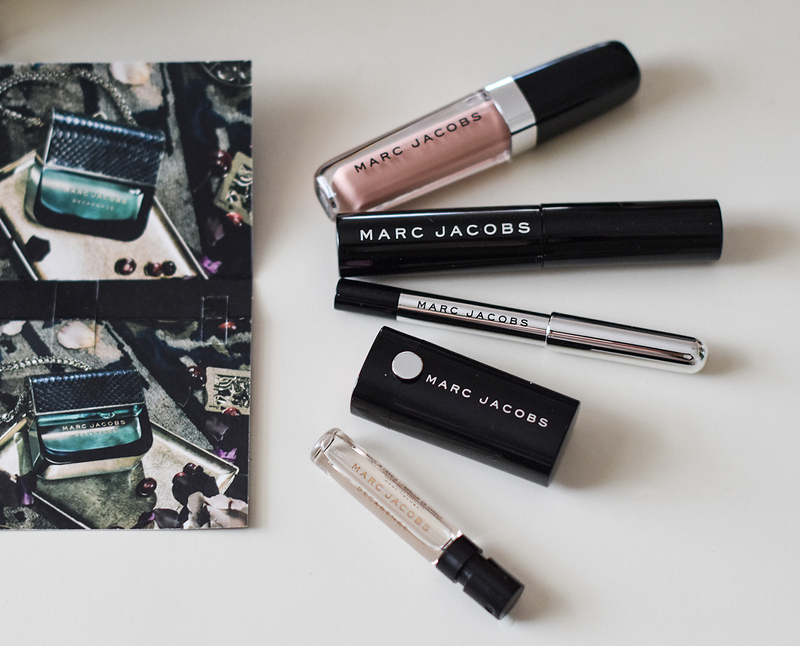 I need some Marc Jacobs beauty in my life! What a great haul, I have the eyeliner and mascara and really like them! 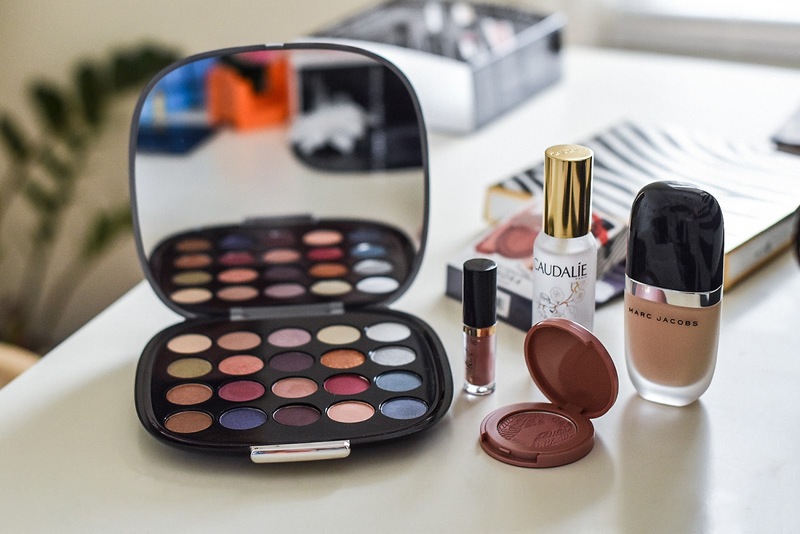 Your products look so fab! The palette is gorgeous. Great beauty selection. Marc Jacobs always has amazing products. That palette looks super gorgeous! I am intrigued about their oil free foundation and how i works for you!